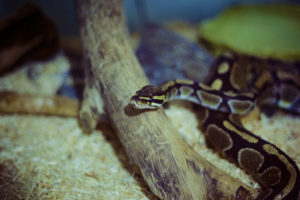 Some ball python behaviour will look incredibly peculiar to pet owners, especially to those who have not had their pet snakes for very long. 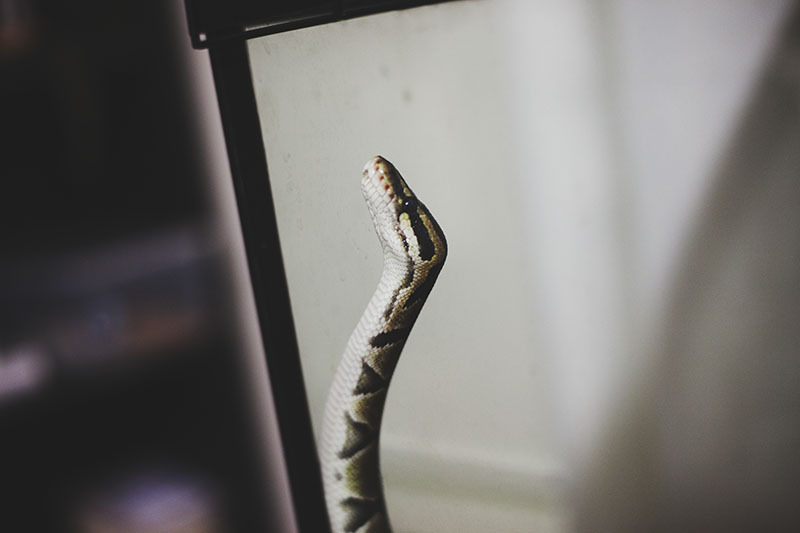 Although most behaviours look harmless, there are a few that may worry, startle, or even scare, pet snake owners at first. 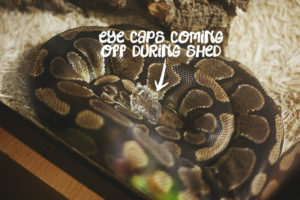 This behaviour in particular may look dangerous to a new owner, but it is just as harmless to the snake as all other normal ball python behaviours. 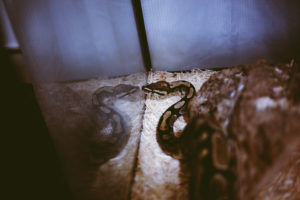 The behaviour works like this: when ball pythons are active at night they will sometimes climb the sides of their terrariums, resting their long, thin bodies on the glass or even the corners of their enclosures. 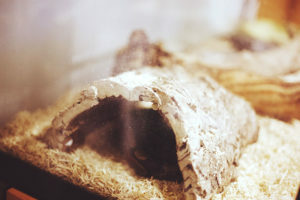 Many times they will go so far as to bring their heads up to the top of their enclosures (depending on how high the enclosure lid is and how long they themselves are). 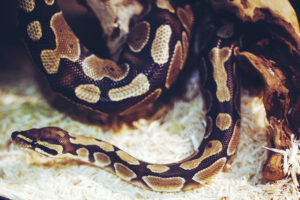 Most times, once reaching this height, ball pythons will fold themselves back over and go down the same way they came. 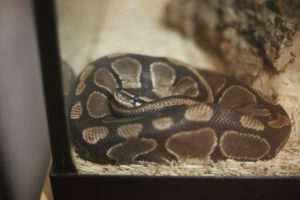 At other times, the ball pythons will continue going up, as far as they can physically go, until they reach a point where they have no other option but to drop to the floor. In these cases, they haven’t left themselves enough body surface to come back down gently, so they take a leap. They may make a gentle thudding noise, or may actually make a sound equivalent to a pretty large textbook dropping onto the floor. 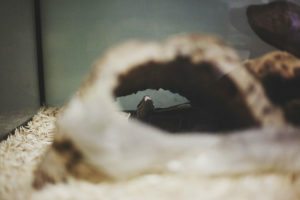 It just depends on how heavy they are and how far up the sides of their tank they got. 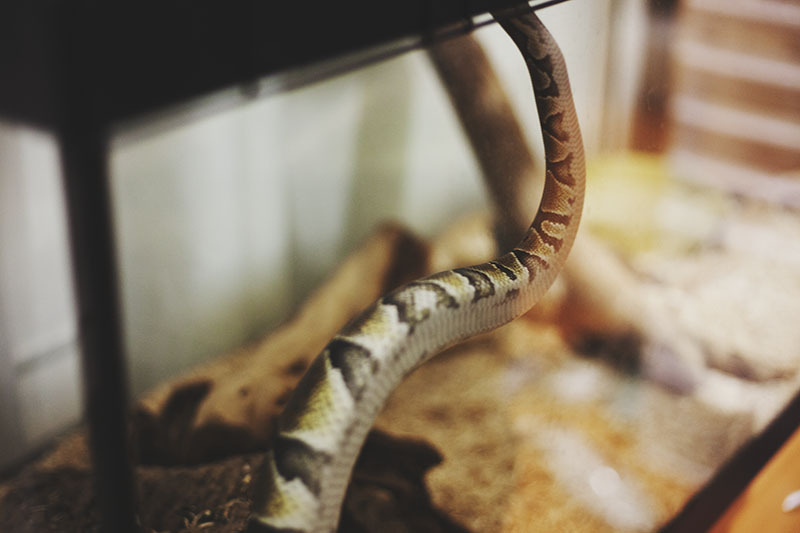 But this behaviour is not harmful to the snake. 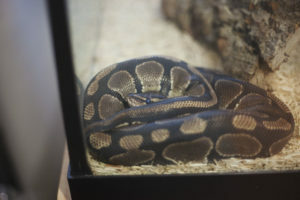 There’s absolutely no way a ball python could hurt him or herself by dropping, even if he or she happened to land on a hide, a log, or a piece of driftwood. 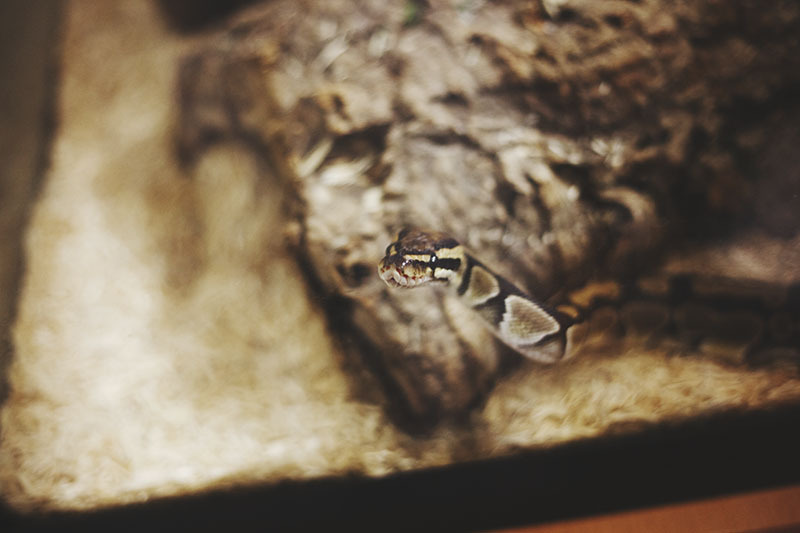 In their natural habitats, snakes drop from trees all the time: on purpose. They need to get down from trees some way, and so they’ve evolved in a way that makes dropping perfectly natural and safe. 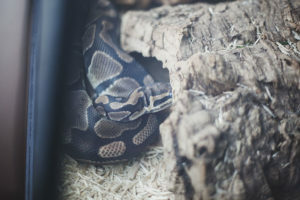 If ball pythons can drop from trees without a scratch, there’s absolutely no way a small drop within an enclosure can possibly cause bodily harm to a ball python. 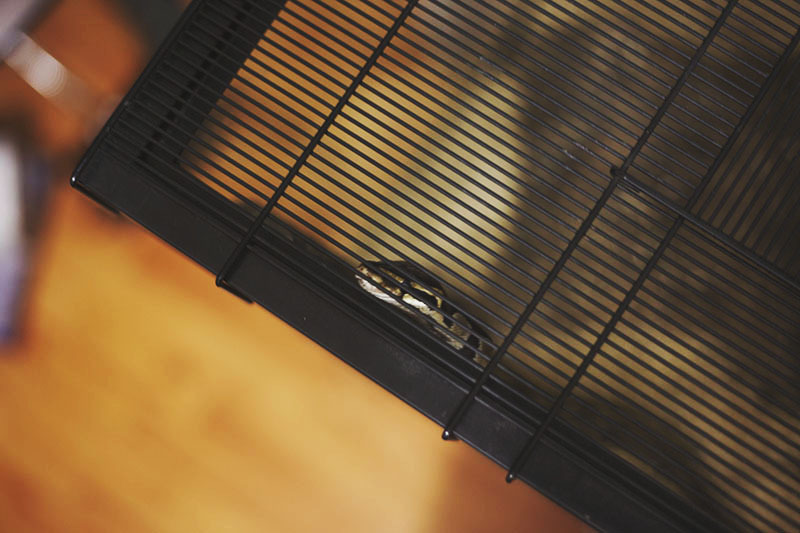 Some suggest that ball pythons climb their vivariums like this in order to escape. Although I don’t particularly think this is true, I do, however, believe this behaviour is what makes them particularly good at escaping from their enclosures. It seems more likely to me that they do this for exercise, as it both allows them cardiovascular activity and also allows them to stretch out their muscles. It could also be that they are used to the act of climbing trees in their natural environment, meaning they’re just replicating their behaviour in their enclosures. 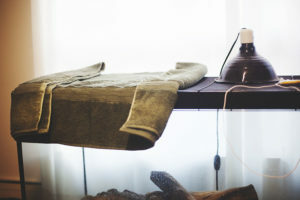 Regardless, they do seem to enjoy this behaviour quite a bit, and will often behave this way for the whole span of a night and for many days on end. I can see how it would be worrying to moms and dads when their snakey pet drops down and makes a “clunk”! Mom is always concerned about me when I jump off the couch because I am a senior and not as bouncy as I used to be, but I like to do it anyway. 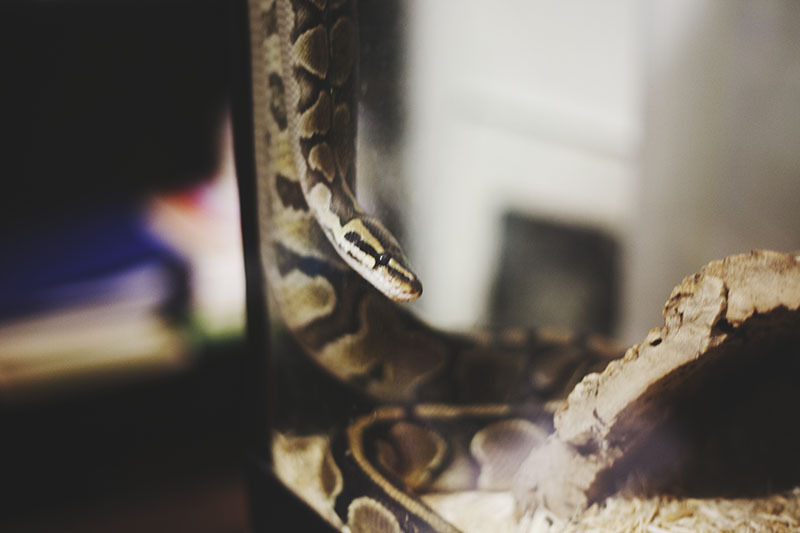 It’s a good thing snakeys are so bouncy! I hear mine thumping around in their tubs at night sometimes too. I’ve removed lids and they were holding on to the edges of their tubs. So funny!! I’ll take them out when they do this and let them crawl around for a while.